I often write about my foraged and semi-foraged edibles, and periodically I like to post something about how to forage safely. With mushrooms, it’s a life-or-death matter to know what you’re doing. With plants there is sometimes a matter of deadliness at stake, but more often you are risking an upset stomach or a ghastly meal. So get it right, which is a fairly easy matter. Easy instructions for beginners: buy any book by Samuel Thayer or John Kallas. They are both incredibly knowledgable foragers and good writers, and you will still be studying their books years from now and learning new things. 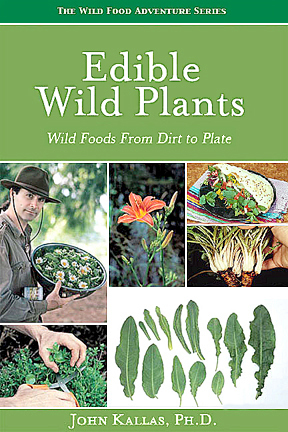 I recommend starting with Kallas’s book, which is the comprehensive guide to wild greens that you will use for years or permanently. It is available in Kindle format, which is great because I can pull out my IPad at any time and study a bit without needing to lug around additional books with me. I have had this book since it was published and at least once or twice a month I go back to it to learn something new about using a familiar plant. 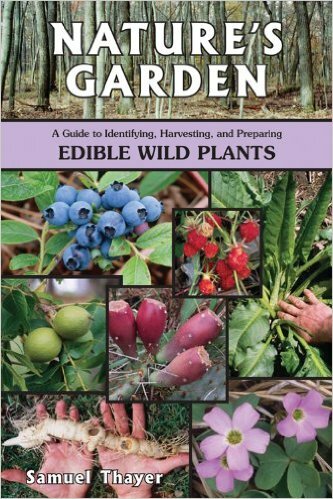 Then add one of Thayer’s books, or both of them, to learn a new slant about the wild edibles you’ve already learned and learn some new ones. They aren’t available on Kindle, unfortunately, but they are wonderful. 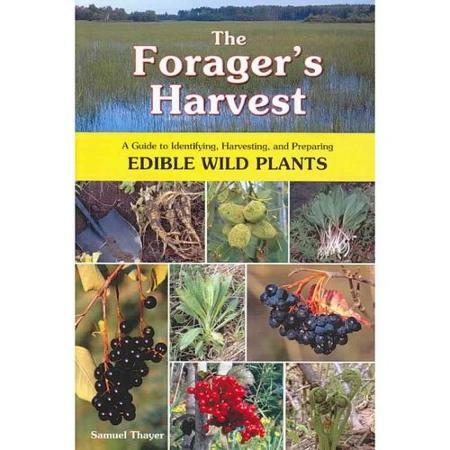 There are a ton of other foraging books out there, and most of them have some special merit or charm, but if I ever had to narrow down my shelf, I would have these three. If you have some long winter evenings ahead of you, study and prepare so that you are ready to hit the ground in spring. By the way, bear in mind that the original Cretan diet, the one that produced some of the longest-lived and healthiest people in the world, included wild greens as primary vegetables. They are extraordinary nutritional powerhouses and there is no better gift that you can give your body than to incorporate some of them into your diet. And, I hate to bring this up, but don’t just add them to your current diet; use them to replace something that isn’t doing your body good. Yes, replace cereal with a salad or an oatmeal with some root porridge. That’s an excellent point. Root porridge? Please tell us more. I forget which edible plant guide got that idea stuck in my head. I think of it as mashed roots in general. I prefer parsnips, which around here can be found wild, and I’m growing wild in my food forest, mashed up as sort of a thick porridge. Usually I saute it first for good flavor then mash it up. Milk can be poured over it. Ground nuts I read are really good simply boiled and then mashed into something like a porridge, although it’s said to taste like refried beans for Mexican cookery. Still working on getting a harvest from my ground nuts to try it. Interesting. I remember eating boiled mashed rutabagas as a side dish at some point, and with butter they were quite good indeed. I may need to grow some parsnips to give your porridge a try. I gave ground nuts a try last season but I didn’t water them enough to get them started and they came to nothing. I need to try again this year. I would think that carrots, if steamed long enough, could be made into a mash that would be delicious with some butter and honey, and maybe a sprinkle of cinnamon. Thank you for these titles, Heather! I spend my wintertime in Portugal and like to forage edibles there. Could one of these books be useful? Or is it all about English edibles? Thanks for joining us! The majority of plants discussed are common throughout the temperate world. I think you would find many, perhaps most, of the plants in the Kallas book in Portugal, and that would be a good book to start with. And by the way, lucky you. One day I hope to travel to Portugal.